The RocklandMD day surgery centre provides quick access to a variety of day surgeries in several specialities. The employer should take advantage of l’article 22i du règlement d’application de la loi sur l’assurance maladie to reduce absenteeism, increase productivity in the workplace by providing access to medical and surgical care. At the heart of our mission are our values which are: patient safety, excellence, leadership, patient family oriented services, accessibility, availability, efficiency and integrity. RocklandMD surgical centre is a state-of-the-art facility. The centre has two operating rooms, an endoscopy suite for gastroscopies and colonoscopies, an eleven-bed recovery room and an observation room. RocklandMD surgical centre respects the highest industry standards. This underlines the importance the centre places on patient safety and well-being. 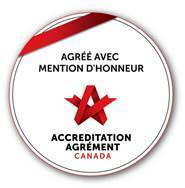 All of the Centre’s equipment comply with the Canadian Standards Association (CSA) standards. Its clinical and infection prevention and control standards follow those of the Operating Room Nurses Association of Canada(ORNAC) guidelines. Day surgeries done at the RocklandMD surgical centre include: general surgery (ex: inguinal hernia repair, gallbladder removal), orthopaedic surgery, surgeries in urology and gynaecology, bariatric surgery and plastic surgery. Diagnostic and screening gastroscopies and colonoscopies are also performed at the clinic. When an employee is off work on a long term disability leave and waiting for a surgery date, RocklandMD surgical centre can be the answer to the problem, offering quick access to day surgeries in a number of surgical specialties.